The long tradition of agriculture in this space continues today. Come and be a part of it at the Farmers Market. 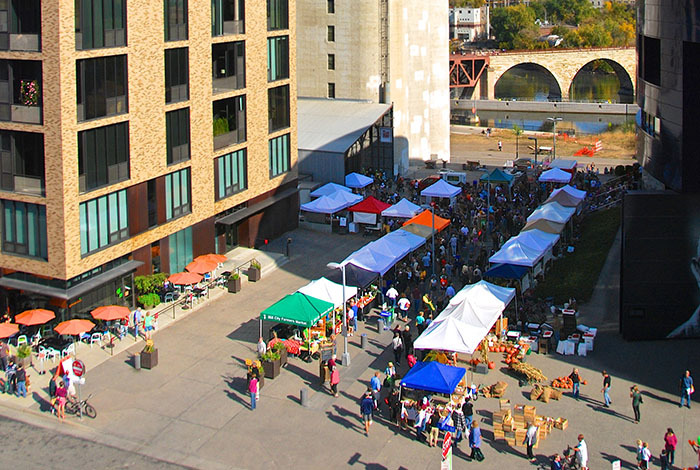 Mill City Farmers Market is Minneapolis’s trusted source for healthy, local, and organic groceries, bringing a wide assortment of fresh food, cooking education, and live entertainment to one beautiful place. 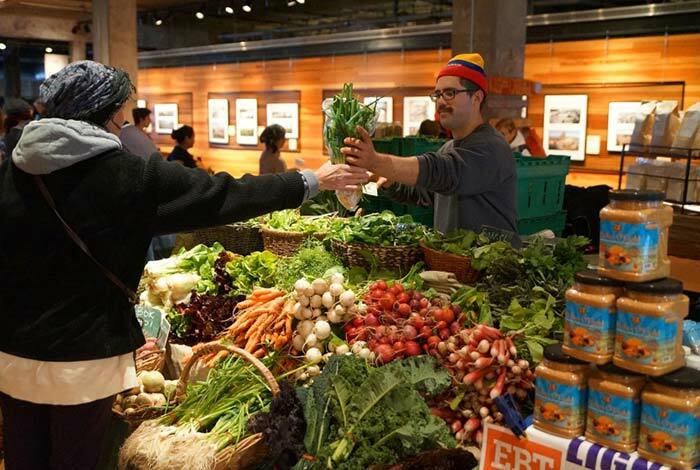 Shop from more than 60 local farmers, food makers, and artists for healthy, sustainably grown produce and artisan wares, rain or shine! Takes place every Saturday in our historic train shed. ​Hosted on select Saturdays in Mill Commons. Photos courtesy of Mill City Times.